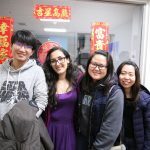 ELI’s Spring Festival Celebration, held on Friday, February 16th, was a HUGE success! 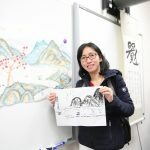 This live-streamed event received more than 600 views, and was attended by more than 100 students! Dean Watson and Dr. Stevens recorded videos, wishing students “Happy Spring Festival” in both Chinese and English! 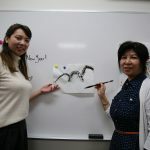 Lanzhu Liu, mother of our very own Emily Liu (former student and one of ELI’s international student recruiters), taught three classes: two brush painting classes, and one calligraphy class. 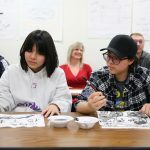 People from many countries, including Japan, China, Saudi Arabia and America had a great time learning these traditional Chinese arts. 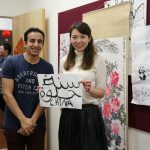 Leah Davidson, one of ELI’s international student recruiters, and Kong Kai, an ELI student, hosted a fun, international version of the game of “Whisper Down the Line” in Arabic, Chinese and Portuguese. 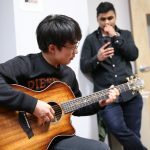 At the end of the celebration, everyone was treated to a beautiful song by student Ruisen Yang, who accompanied himself on the guitar. Students wrote down a wish sentence to their family, friends or anybody else they chose and put the wish into a wish box. 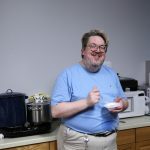 Ken Hyde, Tutoring Center Manager, provided chef services, turning out delicious chicken dumplings for all to enjoy! Check out the photo gallery below – you can see what a great time everyone had!